Now that summer is in full swing in the Midwest, it’s time to start tackling your home maintenance projects. After a harsh winter, like the one this past year, your home’s exterior may be in rough shape — and even if it’s not, it might be time for a change of color. Make sure the surface is clean and in good condition before beginning to paint. Scrape and sand any loose paint and spot-prime any bare areas to ensure an even surface for painting. Watch the weather! Most paints can be applied when the temperature is between 50 and 85 degrees. Hirshfield’s and Benjamin Moore house paint can be applied in temperatures as low as 35 degrees. 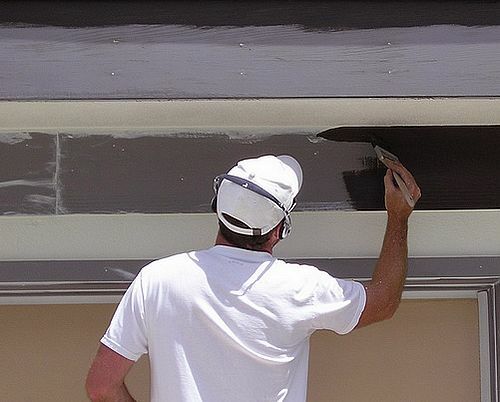 Avoid painting in direct sunshine, gusty winds and high humidity or on highly porous surfaces such as old, weathered stucco. Use a quality paint that is designed for your specific job. 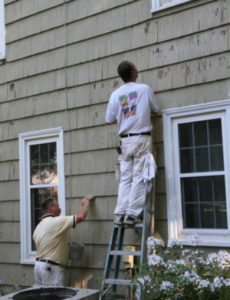 Lower quality paints will cost less, but may end up costing more in the long run as you will have to repaint sooner. When considering a color change, try at least a quart of the selected paint. Paint at least an 8-inch by 10-inch area so you have a good visual, and live with it for a few days before making a decision. Consider the colors on and near the house that either cannot, or will not, be painted when choosing a color. This includes the roof color, as well as wood, masonry or stone that will be left unpainted. You can order a paint sample online or if you need help with your color selection we can get you going in the right direction with a Hirshfield’s Color Consultation.